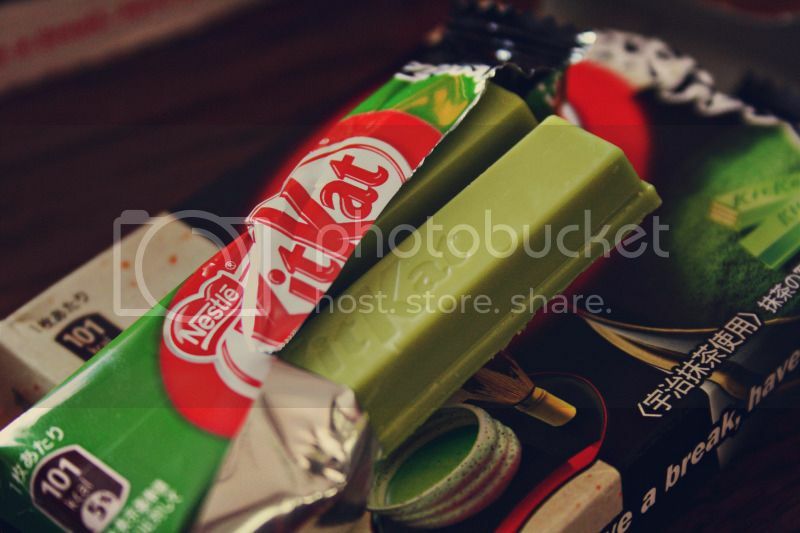 Kitkat flavours: Green tea, Satura green tea and Strawberry. Ahhh I love sending/receiving parcels so much! A few months ago Anamei and I decided to do a little candy exchange. Fresh from a visit to Japan she kindly offered to send me some of these cool Kitkats! Being a sweet-tooth I obviously couldn’t resist, so in return I sent her some British sweets/chocolate. Seriously though, how cool do these look?! The colour is so nice compared to the standard milk chocolate ones we have here, and the packaging is cute too! What’s even more exciting is that Anamei is coming to England next year and me, my sister and her are finally going to meet up. Yay!! This summer I would really love to send more candy overseas. In the past I’ve exchanged packages with American and Canadian friends, so that would be nice to do again. If anyone’s interested in this drop me a message on twitter and I’ll try and organise something. Are these chocolate though?! (Although I suppose normal kit-kats are more sugar than anything haha…). WHat a wonderful idea! Those kitkats look awesome! I always see the coolest candy coming out of Japan. 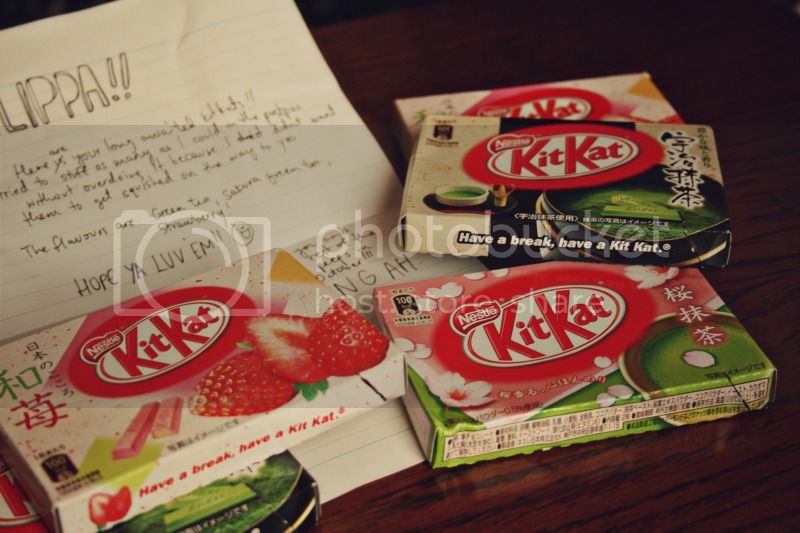 Were they green tea/strawberry flavoured?